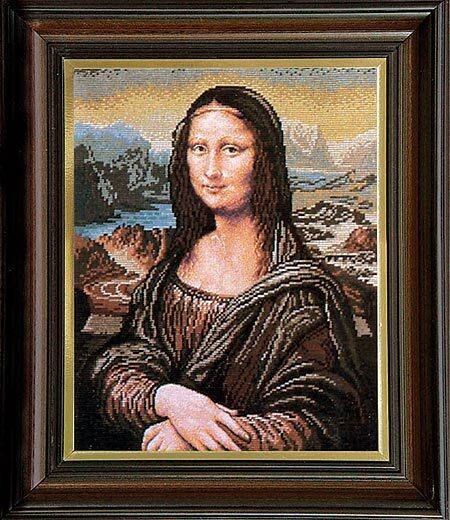 Mona Lisa or La Gioconda, La Gioconda - "gay woman" is a picture painted with oil paints in the 16th century by Leonardo da Vinci is one of the most famous paintings in Western art history. The kit packs threads DMC / France / Panama, schemes, instructions and needle. It is packaged in a luxury box with heat seal large color picture on the front.